The Hybrid ST2000 Smart-Fit Cup features our Smart-Fit ferrule which combines the durability of an aluminum base with the easy maintenance of a plastic cup. The Smart-Fit technology also creates a seamless flagstick grip without affecting that magical sound as the ball hits the bottom of the cup. 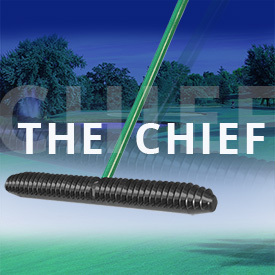 Plus, the strong, plastic molded sides are chip-resistant for product longevity and a sleeker-looking course.